I am going through a burger phase lately and today I am going to share one of my world famous ground turkey burgers. Well they are not really world famous but I would like to think they would be. The ground turkey is mixed with fresh herbs, garlic and spicy harissa for amazing flavor. – In a large bowl gently mix ground turkey with onion, garlic, parsley, harissa and egg. Form into round patties. – Place burgers in the oven and cook for about 10 minutes. 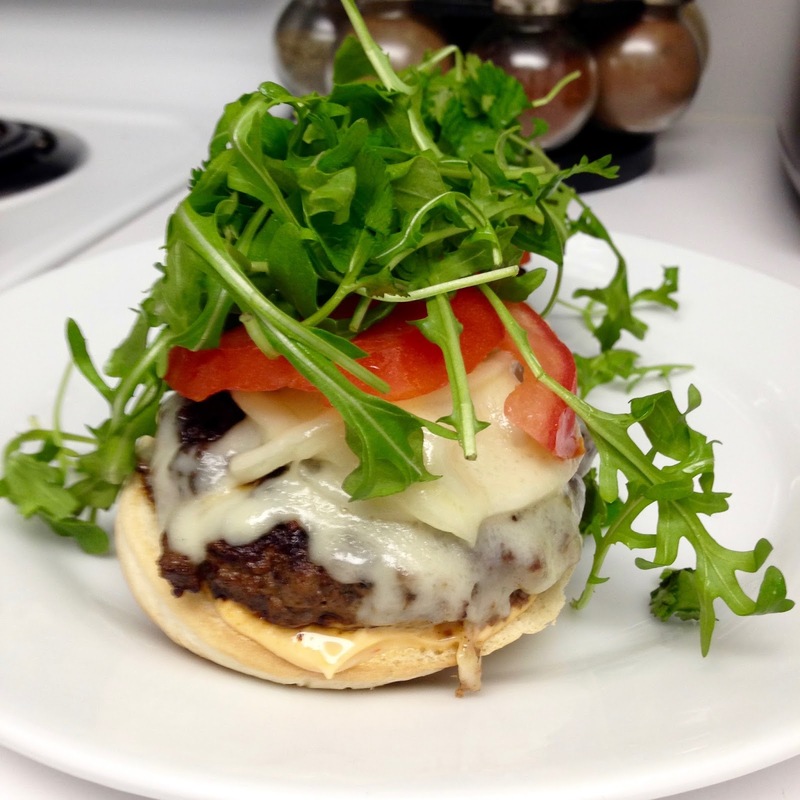 – Once patties are ready, spread sriracha mayo on the buns then follow with the cheesy burger patties, tomato then Arugula. Enjoy!